Update: Apparently Frank H. Buckley, the media narrative responsible for writing the column in the American Conservative below, actually states there was no plagiarism detected in Trump’s speech. 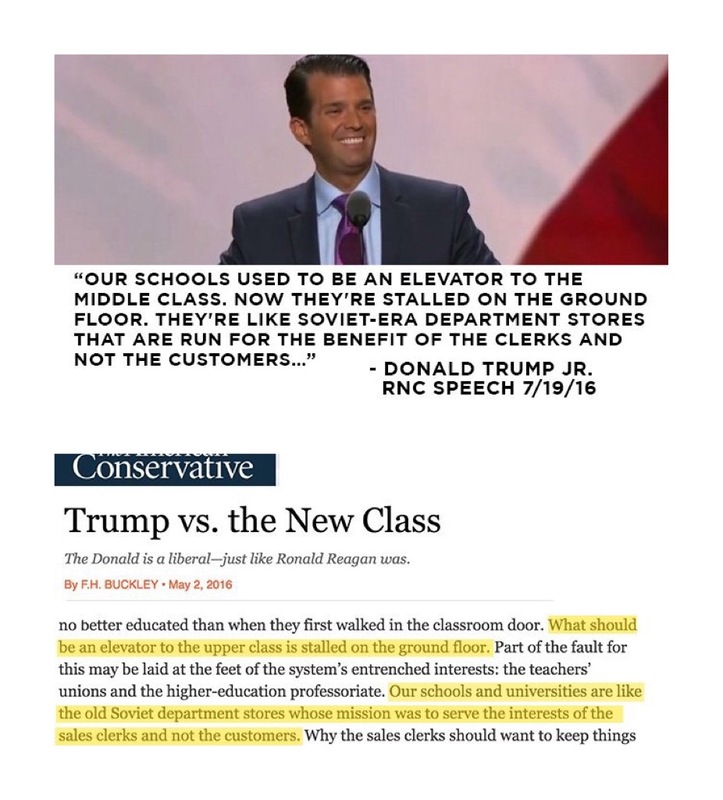 There’s question whether Donald Trump Jr’s speech was also plagiarized. What do you think? Well, they’re not stealing from the other side, are they? Of course, we can also see where Reagan’s thinking led us … into the mess we’re facing.